It is very important that you use only genuine Volkswagen auto parts when working on your vehicle because these parts are identical to the ones currently in your Volkswagen. They are made out of the same durable materials and held to the same quality control standards. It may be tempting to get cheap generic parts, but these parts are often made out of low-quality materials. Also, they rarely are produced according to equivalent quality control standards. Generic parts may not work as well or last as long as real Volkswagen OEM auto parts. Get more info on the genuine Volkswagen auto parts at our Volkswagen dealership in Gainesville. Come in today! Volkswagen of Gainesville offers interested customers an extensive collection of Volkswagen auto parts. No matter what part you need for your auto repair work, chances are that we have it in stock. If we don’t have it currently available, we’d be happy to order it for you straight from Volkswagen. Come in and talk to us about the part you need and we’ll make sure you get it as soon as possible if it isn’t already at our Volkswagen parts center. Browse the huge selection of parts at our Volkswagen car dealership in Gainesville today. Our parts center is staffed with expert employees that can help you with all of your auto repair questions. We pride ourselves on offering well-informed and friendly customer service to all of our customers. If you have any questions regarding the auto repair project that you’re taking on, please don’t hesitate to ask our Parts Department or Volkswagen Service Center. Speak with the expert staff at our Gainesville car dealership today to get any auto repair questions answered. Our Volkswagen of Gainesville parts center even offers you the ability to order the Volkswagen auto parts you need online. This way, you can have your order prepared by us and ready to go when you come in. We’ll notify you when we have processed your order. Order the Volkswagen auto parts you need for your auto repair work from our website Now. Motorists in Ocala, Orange Park, and elsewhere in the Gainesville, FL area can find the parts they need at our car dealership in Gainesville today. As an authorized dealership, we only stock genuine Volkswagen auto parts. If you have a Volkswagen vehicle and you plan on performing auto repair work yourself, make sure you get the right parts for the job. Our Volkswagen Service Center and parts center at our car dealership in Gainesville has a large inventory of genuine auto parts straight from the factory. Volkswagen of Gainesville offers several benefits that competing Gainesville car dealerships can’t match. Used Vehicles sold by our car dealership in Gainesville come with the Volkswagen of Gainesville Lifetime Warranty. 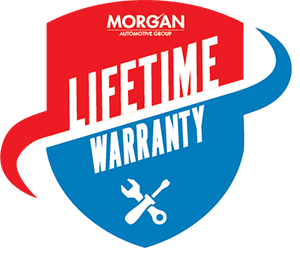 This warranty covers some of the most important aspects of the vehicle, from the engine to the transmission. Visit us today to learn more about the Volkswagen of Gainesville Lifetime Warranty.